Terry Gilliam nos presenta su último y polémico trabajo... Una pareja de yonquies y su pequeña hija habitan una casa destartalada. La mujer muere repentinamente y padre e hija se trasladan a una desvencijada mansión en el campo. Cuando el padre muere, la niña se construye un mundo imaginario poblado por extraños personajes. 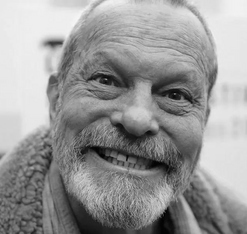 Terry Gilliam el miembro norteamericano de los Monty Python y el director responsable de cintas imaginativas y originales como "Brazil" (1985), "12 Monos" (1995), "El rey Pescador" (1991), "Miedo y asco en las Vegas" (1998) y "Los Hermanos Grimm" (2005). La película ha sido producida por Jeremy Thomas, uno de los productores europeos más prolíficos y que ha trabajado con directores como Bernardo Bertolucci, Wim Wenders o David Cronenberg. Terry Gilliam at his best! Gilliam nos regala un cuento maravilloso. Donde lo tierno y lo grotesco se mezclan para narrar una historia surrealista de la mano de la imaginación de una niña. Obra mayúscula. Más que recomendable. Deja un agridulce poso en uno tras finalizar su visión. La más Gilliamesca de todas las peliculas de Gilliam. Un sueño/pesadilla, maravilloso y terrible como la infancia. Es una película especial que quizás tarde en entrar, pero cuyo recuerdo crece. Es difícil y rara, pero es una joya. Si tienes una mente libre y capacidad para darle un significado a cosas que aprentemente no la tienen... ésta película es para ti. Especial sin duda. Pero maravillosa. "Tideland is an adaptation of a cult novel by American author Mitch Cullin, first published in 2000. 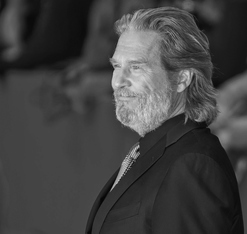 It's a southern gothic nightmare about a little girl called Jeliza-Rose, left to her own devices by her has-been rock-star dad and raddled rock-chick mom - played here by Jeff Bridges and Jennifer Tilly. They are both heroin addicts, though the mom is desperately trying to displace her heroin need into a frenzied consumption of chocolate and methadone. It is Jeliza-Rose's duty to cook up her father's drug intake in a spoon, watch sadly while he injects himself, and then remove the hypodermic as he slumps into an armchair. It's what he calls "going on vacation". The neglected little mite finds herself being taken to her grandma's ruined farmhouse in the middle of a cornfield in the deep south - an isolated building that looks very much as if Gilliam has had it built especially for the film, and is all the more disturbing for that. Here she is left alone, with nothing for company but her overheated imagination (stimulated by reading Alice in Wonderland) and her four dolls' heads, each of which has a name and ventriloquised voice. I feared the worst. As the lights dimmed, and the movie began, it seemed a racing certainty that Gilliam would dramatise Jeliza-Rose's escapist fantasy world with loads of CGI-Münchausen caricatures, whose florid freakiness would fail to mask something essentially sentimental. But no. Everything is pitched mostly on a realist level, with fantasy scenes kept to a bare minimum and all the more effective for that. There are wacky characters living in the neighbouring farmhouse over the hill, but they actually exist, and the nightmare they usher into Jeliza-Rose's life actually exists as well. Eleven-year-old Jodelle Ferland's performance as Jeliza-Rose is disquietingly pert and mad, like a squeaky little Blanche DuBois. She is every inch her crazy mother's daughter, and looks the dead spit of Tilly. She is no sweet Alice: she looks more like an American poppet version of Catherine Deneuve in Repulsion. There is a fair bit of caricature-acting going on, and Ferland has a very fruity suh-thuhn ack-say-euhnt. The same goes for Janet McTeer and Brendan Fletcher as the creepy brother and sister who live nearby: a crazy woman called Dell who will not venture outside without a gauze-mask for fear of bee stings, and an unhappy innocent boy who suffers from epilepsy and has a mock submarine-scanner in his underground treehouse. (His name is Dickens, incidentally, a slightly unsubtle nudge.) 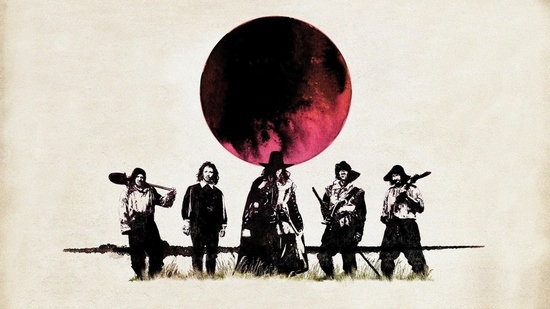 Gilliam's vision for the movie suffers at just one point: the graffiti on the walls of the ruined farmhouse looks very quaint. 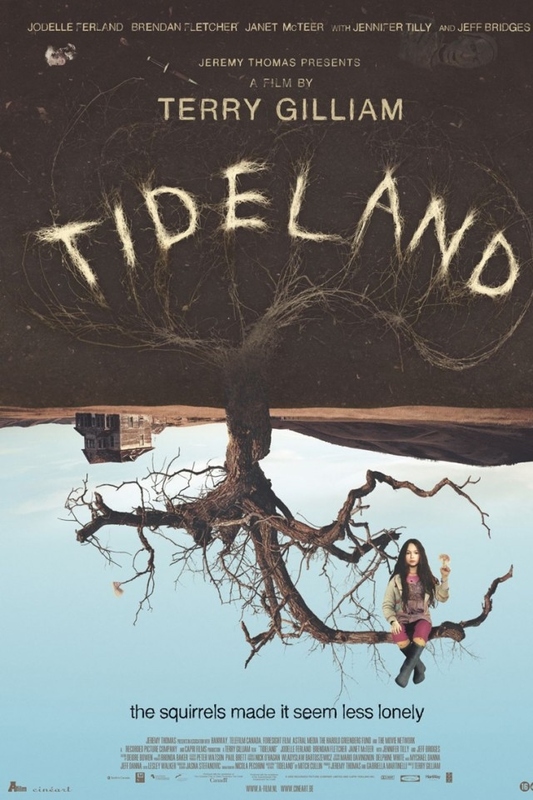 But Tideland keeps its grip - and makes it tighter, when it becomes clear that the movie's inspiration is not just Lewis Carroll, but something darker. The director himself has called it a cross between Alice in Wonderland and Psycho; the movie's left turn into black-comic horror is, however, triggered not merely by the great taxidermy-enthusiast Norman Bates, but by Hannibal Lecter and the real-life monster who inspired both: notorious serial killer Ed Gein, although murder, as such, is not on the agenda. A nascent and transgressive sexual relationship between Jeliza-Rose and Dickens adds to the unwholesome fascination. There is one more point of reference: the film is also surely a variation on the visual theme in Andrew Wyeth's 1948 painting Christina's World, with its ambiguously ecstatic dream vision of a young woman, prostrate in a field outside a farmhouse: immobile, yearning, frustrated, even ambiguously languorous. Gilliam permits himself one little in-joke. Among the collection of vinyl albums belonging to Jeliza-Rose's smackhead dad, there's a copy of Monty Python's Contractual Obligation Album. Tideland, with its gleeful nastiness, recovers a little of the spirit of the earlier TV genius. And there's a macabre and very funny moment when someone puts their foot through a dead old lady's head, and you can't help remembering the glory days of that descending Bronzino cherub-foot. For the first time in ages, Terry Gilliam has shown he can deliver the snakebite." "The dutiful daughter of a has-been rock star (Jeff Bridges) whose periodic "vacations" consist of shooting up and nodding off, Jeliza-Rose (Jodelle Ferland) prepares her daddy's fix as if she were making a tuna on rye. Although Gilliam and co-screenwriter Tony Grisoni have jettisoned the first-person framework of Mitch Cullin's novel, "Tideland" is still seen through a child's eyes. 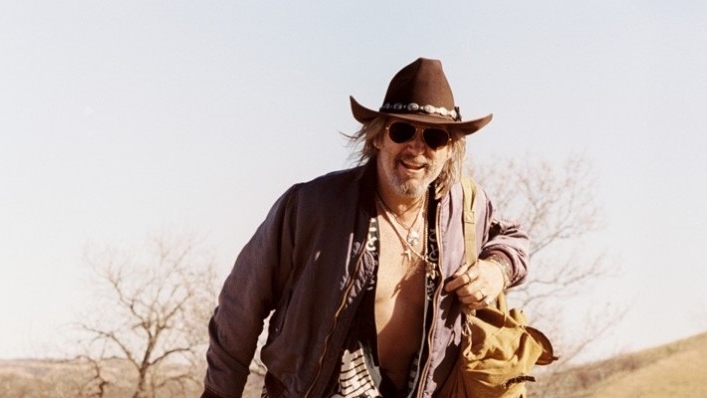 But like Lewis Carroll, to whom "Tideland" explicitly tips its hat, Gilliam believes children understand much more than adults think they do, if not always in ways grown-up minds can fathom. The youngest of "Tideland's" characters, 10-year-old Jeliza-Rose is also the most clearheaded. 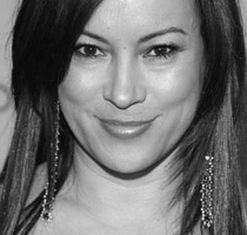 When her junkie mother (a spasmodic Jennifer Tilly) fatally overdoses, Dad suggests a Viking funeral, complete with flaming pyre, but she bats out the flames as he tries to set fire to the bedsheets. Still, she can't prevent him from retreating to the safety of his late mother's abandoned house, or chasing methadone pills with peach Schnapps, which sends him on a vacation from which he never returns. On her own, Jeliza-Rose rapidly fabricates a fantasy world in which the squirrels in the rafters mutter half-heard sentences and the stench of her father's decaying corpse is merely a bout of uncontrollable flatulence. Dressing up Dad's slumbering body with lipstick rouge and a blond wig, Jeliza-Rose keeps company with a quartet of severed doll's heads until she discovers a pair of deeply eccentric neighbors: Dell (Janet McTeer), a one-eyed taxidermist with a morbid fear of bees, and Dickens (Brendan Fletcher), an epileptic simpleton convinced that the wheat fields are water patrolled by a terrible "monster shark." This concatenation of grotesqueries is, as Alice might say, much of a muchness, exacerbated by Nicola Pecorini's swooping wide-angle shots, which have the effect of pressing the audience's nose against the glass when they might rather retreat to a safe distance. Even Gilliam's harrowing "Fear and Loathing in Las Vegas" pulled over for a few rest stops, but "Tideland's" unmodulated frenzy has the effect of a prolonged shriek, too high and shrill for individual words to make themselves heard. (A second viewing reveals subtle facets under the movie's abrasive surface, but it's hard to imagine many people returning for one.)"